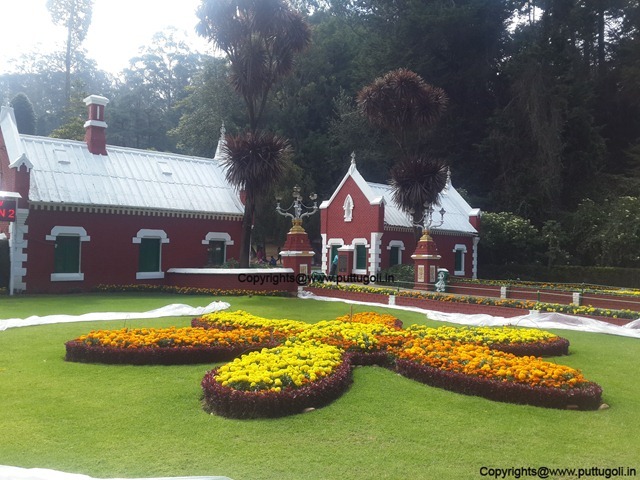 Now, you might be thinking why I have given the title as “Enchanting Ooty”. For this I have many points as well. 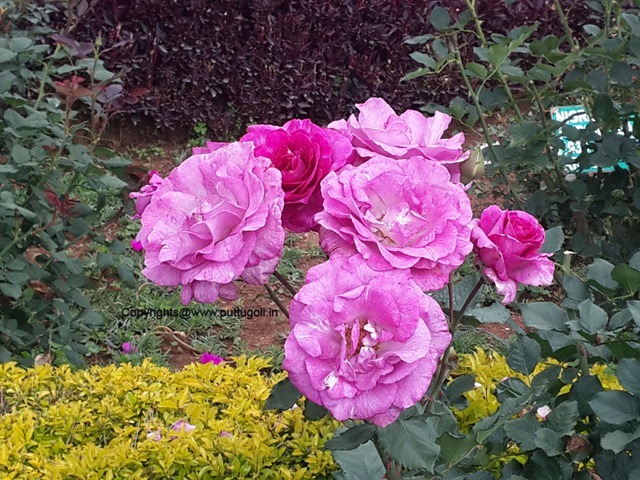 What we can enjoy in Ooty? Enjoy the Ooty weather. 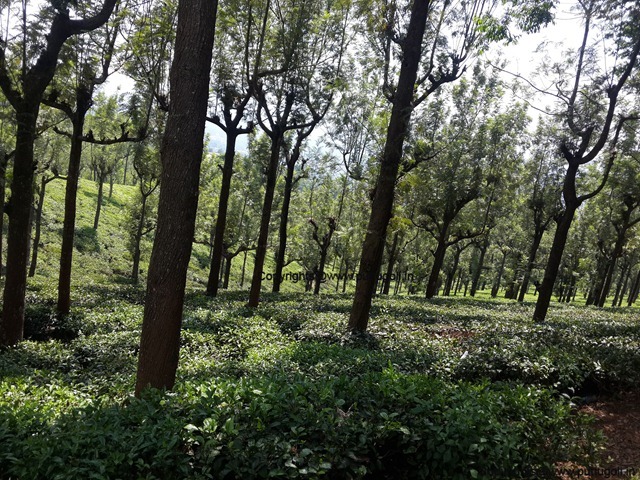 We have visited Ooty in the month of May wherein most of the Indian cities have burning heat. Here there is no requirement of fan or AC!! Its so cool!! at around 19 degrees. We started on Wednesday morning around 12 P.M. from Bangalore and reached Ooty around 8 P.M. in the night. We went via Bangalore – Mysore – Bandipur – Mudumalai route. While crossing Bandipur and Mudumalai reserve forest we spotted deer, bison and elephants. After the Mudumalai reserve forests we hit the ghat section at “Masinagudi”. Here there are 36 hairpin curves. I never drove through such a ghat section earlier. So I had to struggle couple of times. Throughout 10-15 KM range I had to drive in first or the second gear. We had booked a four-bed room house in Ooty as per one of my friend’s suggestion (G V Residency – 9843342228). The house was nice having 4-bed rooms, hall, dining hall and a kitchen. This was around 5 KM away from the main city area. The owner will arrange for own cooking as well and also a cook if required. Stay here was pleasant and also it was quite cheaper considered to other hotels in the city. The entire day on Wednesday spent in journey. Night we were tired and slept. Cool night!! We had to wear sweaters and shawls. Next day, on Thursday, we went to Botanical garden. This is a beautiful garden spread across 22 hectares. One of the major difference between this and the Bangalore’s Lalbagh is that it lies on hilly area whereas the latter is on a flat surface. 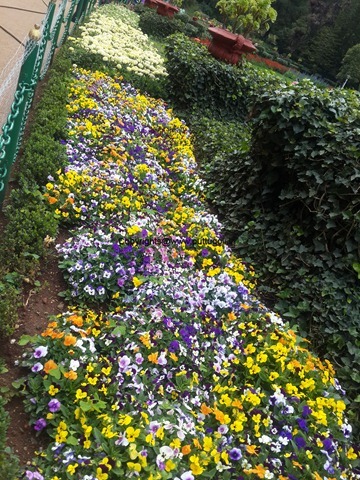 We have seen many varieties of flowers and took nice snaps. For more information, you can visit Wiki page of the garden. We then headed onto Rose Garden. 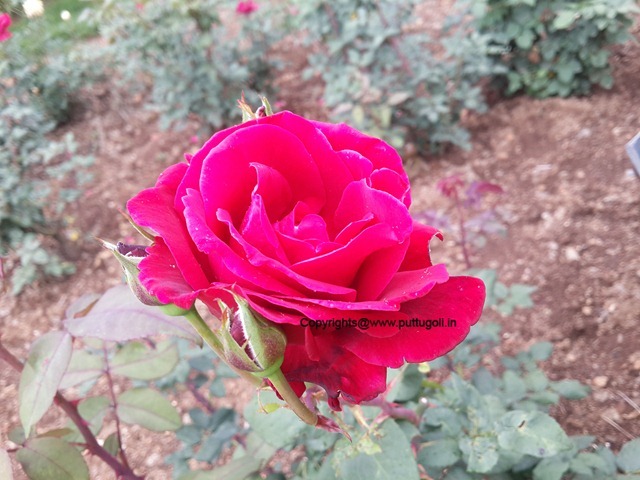 Here we can find thousands of varieties of Roses and 10,000+ plants. Here is the wiki page of Rose Garden. While seeing the Rose garden, it started raining. Though it was a nice experience we lost around hour and a half here. Then we headed towards the Ooty Lake. Boating was memorable. Big lake spreading across 3.8 square kilometers. Here boating is the prime attraction. The boat house offers: Paddle boats, row boats and Motor boats. We took bigger motor boat which can accommodate around 10 people. After boating we thought of visiting Elk Hill Murugan Temple. But for us driving single road on the steep hill was very difficult. Then we dropped this idea and did some shopping in the city before having dinner. On Friday, we checked out and headed towards Mysore. As the G.V. Residency owner suggested, on the way to Mysore we visited some more nice places around. We reached Mysore by evening and stayed in Hotel Dasaprakash. Overall, the trip was nice and memorable.